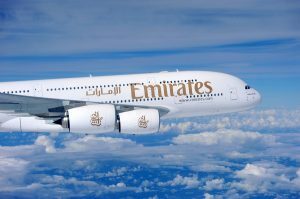 Emirates and Etihad are now offering an alternative to the expensive embassy route for Canadians to obtain a Visa for Dubai. Canadians travelling through Dubai can now obtain a short-term visa of 4 days for $61.5 (Dh225.9), so long as they are travelling with Emirates airline. Canadian citizens holding a valid residency in the UAE and wanting to bring their parents and immediate relatives on a visit can also do so by booking tickets with Emirates airlines. The Dubai visa charges are now $74.5 (Dh273.6) for a 30 day visa extendable by another 30 days. A 90-day Dubai visa only for parents or in-laws travelling by Emirates is available for for Dh1155. Emirates issued the following statement.. Meanwhile, Etihad airways is also offering Dubai visas for Canadian citizens at $68 (Dh249.7) for 96 hours, $83 (Dh304.7) for 30 days and $365 (dh1340) for 90 days. Passengers can also apply for a 14 day entry permit for $103 (Dh378.2) . However the passenger has to enter UAE within 10 days of the issuance of the visa. Effective from 2nd January 2011, the “Visa on arrival” facility has been withdrawn for Canadian Nationals and are thereby requested to apply for a visa in advance. Canada, until recently, was among more than 30 countries whose citizens could travel to the UAE on a free one-month visa, however, the UAE authorities recently amended the rules whereby Canadians will now have to pay $1,000 for a 6-month multiple entry visa and the maximum stay is 14 days per visit. A 3-month visa will go for $500. A 30-day visa will cost $250. In October last year the UAE had given a 30 day deadline for the Canadian military personnel to leave the Camp Mirage base outside Dubai. The irony is that the diplomatic stand-off between Canada and the UAE centres around airspace and the nations carriers and now it is the Emirates route that seems best for Canadians.